A Beauty.com Haul! | Becky Alyssa's Beauty Box. Normally I make a bit more effort with my photos..but I was far too excited to tear these open & start playing with them! Unfortunately Beauty.com don’t ship to the UK, but my auntie from the US was lovely enough to receive my order & bring them over this week on her visit. How lovely was that? 1. 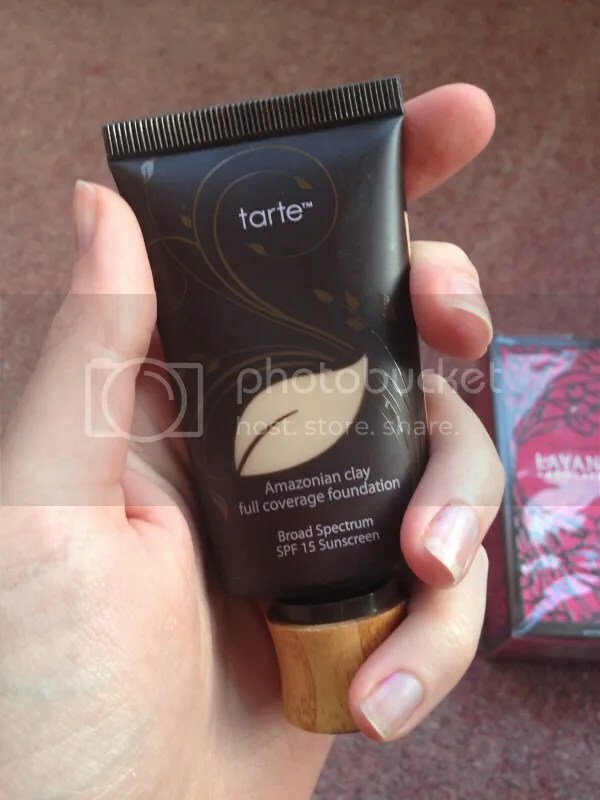 Tarte Amazonian Clay 12-Hour Full Coverage Foundation in Ivory ($38) – I’d been lusting after this foundation since last summer and so glad I finally got my hands on it! I’d been matched a few shades darker in Sephora, but was a little apprehensive as I’m so pale. I used the very useful Findation site to pinpoint my desired shade – by entering my MAC, Rimmel and Kat Von D shades, it came up with Ivory..which turned out to be a perfect match for me! I’m amazed at how much I love this already – the smooth, flawless application is truly the best I’ve experienced. And, wait for it..it lasted a whole day on my oily skin without needing to blot. Pretty sure this is magic, there’s no other explanation. And how much do you love the bamboo detailed packaging? 2. 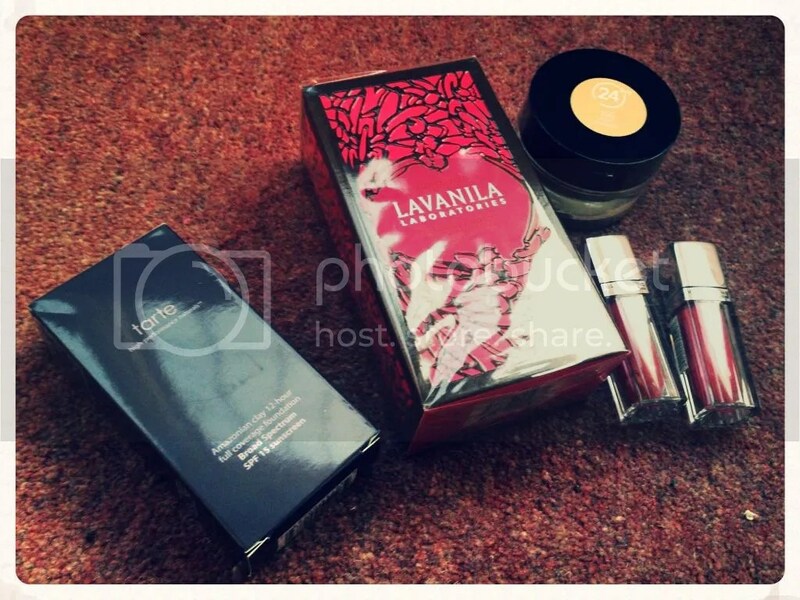 Lavanila Vanilla Grapefruit [Full Size] ($58) – After trying this fragrance out in Sephora last year, I quickly fell in love (and not to mention, completely obsessed ever since). I can’t imagine anyone not loving this unique fruity vanilla! So delicious and wearable for any occasion. Very pleased to have a backup, since I’m getting through my current ones ridiculously fast. 3. Revlon Colorstay Whipped Foundation in Buff ($13.99) – Foundation number two! I actually bought this on my last US visit, but foolishly bought the shade Ivory which is a little pale on me. Both versions of Colorstay – liquid and whipped – genuinely have the worst packaging around! This heavy glass jar makes it a small (and fragile) fortune to post, if you live outside the US, as it doesn’t seem to be available anywhere else. Hardly practical for travelling. The whipped formula really does feel lighter on the skin, not to mention easier to apply than the liquid formula. The only annoyance with my order was that I’d purchased two of the same shade as they were on offer, yet one was planned to be dispatched a few weeks later (too late for me to receive it) which wasn’t communicated at checkout. Slightly annoyed, but at least I have the one! 4. Maybelline Color Elixirs in Rose Redefined and Celestial Coral ($7.19 each) – I’d heard so much about these beauties that I really had to give them a try..and so far, I’ve been truly wowed! Both are fairly similar glossy pink shades, though Rose Redefined is the most universally flattering – Celestial Coral is a little bright on me. They apply unbelieveably smoothly and leave a light stain behind throughout most of the day. Fairly similar in design and concept to the new L’Oreal Color Extraordinaires with a much more palateable lighter scent. I picked these more neutral pinks as a safe bet, now I’m so curious to try out more shades of this gorgeous formula. Hope you enjoyed my small, brief haul! Have you ever tried any of these products before? Ahhhh! Someone else who’s gone insane over the Lavanila Vanilla Grapefruit scent! I only just discovered it last month and I’m practically bathing myself in it every morning. It smells so freaking good! I really want to try the other ones out (the Grapefruit one spoke to me the most) and there’s even some kind of limited edition one for the summer that I think is out right now. SO GOOD! Ooh, I really need to check out this new Lavanila! The Vanilla Grapefruit is nothing short of divine, I could literally bathe in it too!